This is sort of a tall order, but I'm hoping someone is up to the challenge. Here are the pictures. The Suggestion Bar "suggestions" should also be green, not orange. 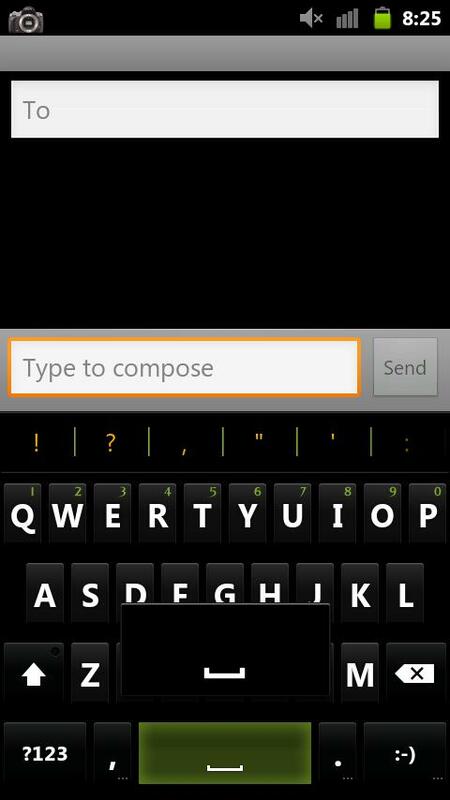 Also, this keyboard can be found on the Project Elite ROM. 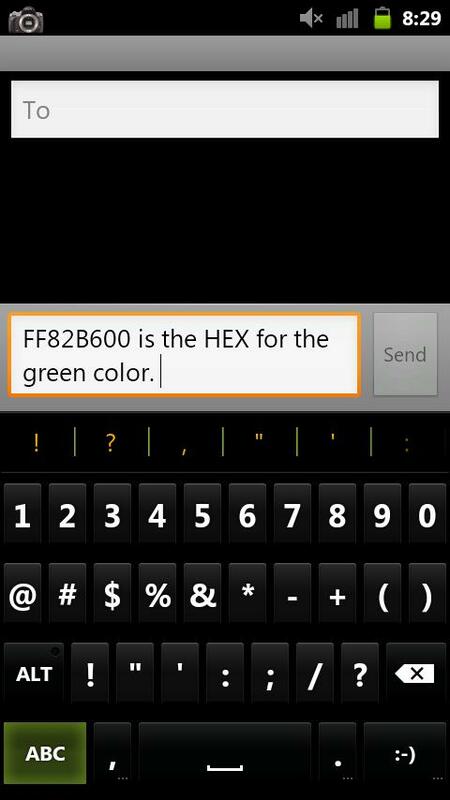 The HEX for the color can be found in one of the pictures. This IS a themed Gingerbread Keyboard, but I'm sure you already knew that. Thanks so much. PM me if you need additional details. inate71 wrote: The Suggestion Bar "suggestions" should also be green, not orange. The keys will require more work of course, but for anyone fluent in image editing it should be a piece of cake making the key backgrounds darker and giving a green tint to the key pressed images. Unfortunately I'm not good enough to do this last step but hopefully the above suggestions can tide you over until you find someone who can complete it. This kinda stuff is way over my head. I've been working at it for few hours, and can't get anything to display properly. Dude, that's actually better than what I had asked for. I do enjoy the "pop" effect the keys have. This really is awesome. Would it be possible that you theme this to a Gingerbread keyboard? I'll pay you for your time. stealthychief wrote: Yeah sure no problem, shouldn't be that hard to do since I have all the images made now. I'll post back here when I get it done. Thanks for the support! Thanks man, means a ton. This is incredible. Really, thank you soo much. I really do appreciate it. They are great! 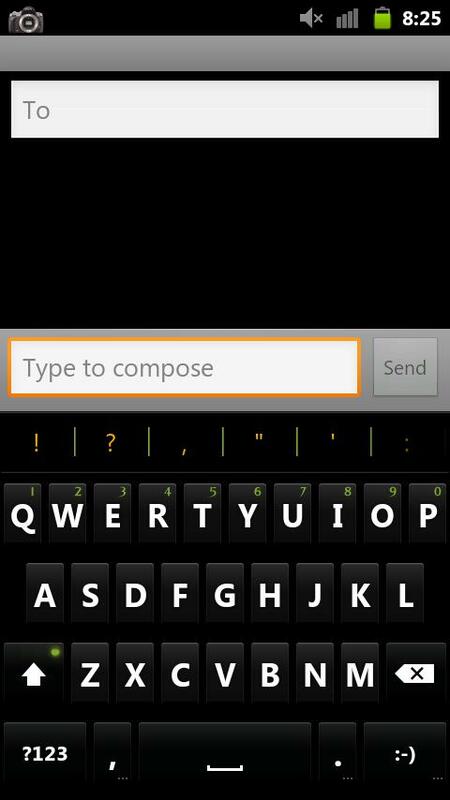 Is it possible the make the keyboard background black though? Green mod keys of each Android & GB if you wouldn't mind? Thanks man! [quote="stealthychief"]Hey thanks! I'm going to go ahead and release these as is and people can edit them further if they like. I made two versions one with white mod keys( alt key, # key, go key) and another with green mod keys. 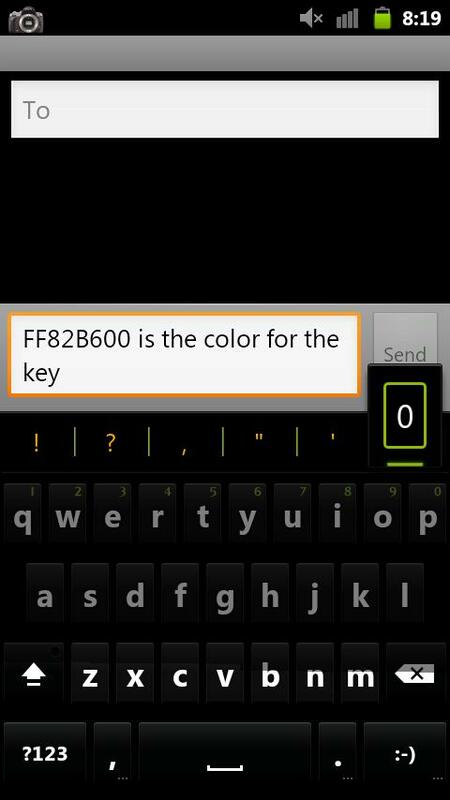 All the key presses are the green as shown in the screenshot when spacebar is touched. Hope you guys like them and feel free to pm or comment back if you guys have any requests for other styles of this color green.